For someone who grew up in the southern parts of Africa in those dark global political days of the sixties, seventies and eighties, places such as Gdansk, Poznan, Donestk and Warschau were so far out of reach that I never thought that I may one day visit them, let alone see some brilliant soccer (football to the uneducated rest of the world) in one of them. Furthermore, who would have thought that it will be to watch soccer that I will travel many many kilometres to watch as I grew up in South Africa where real men played rugby. We did not dive onto the grass pitch in agony if someone came within half a meter of you, clutching your ankle while looking to see if the referee actually believed your near Oscar winning performance! And then you have kids and your whole world changes forever. We attended two Confed cup games in South Africa in 2008 as the pre-run for the Soccer World Cup 2010 and were hooked on this soccer thing. Both kids simply embraced the soccer and started to become real enthusiastic supporters and followers. 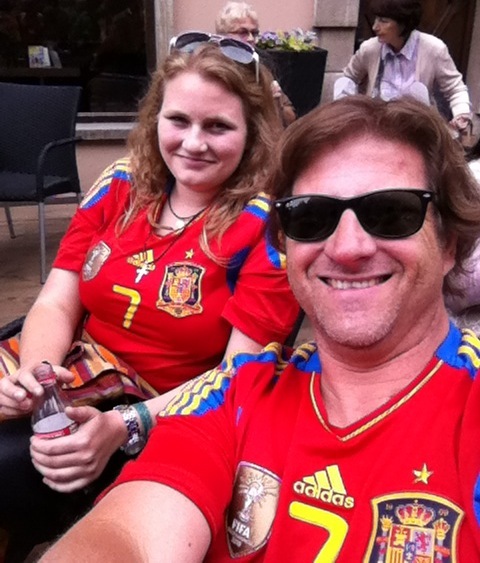 In 2010 we watched 11 games in total and by this time the family was clearly divided between Spain and Germany, with me fighting for my rightful place in the rugby seats every now and then. Obviously we were Bafana supporters too, but they were sort of in the B-league. I mean, its due to the treatment Bafana received from officials and Suarez that still has me completely put off from this brilliant Uruguayan striker. Against the calibre of i.e. Torres, Piqué, Puyol, Xavi, Müller, Podolski, Schweinsteiger, Heuer (to name a few) even the likes of Matfield, Habana, Steyn (Frans), Bismarck and Hoeha (Hougaard according the Stuart Barnes on Sky) seemed to fade away. 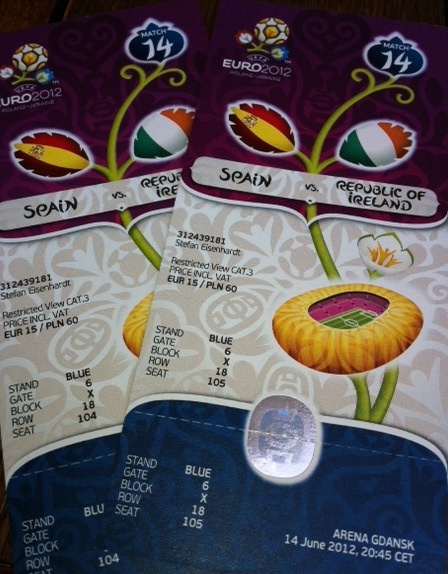 So now Euro 2012 arrived and Cara obtained two tickets for Spain versus Ireland to be played in Gdansk. The GPS is a wonderful little device and it’s hard to think back to those old days of travel, where I was driving and Heleen instructing from a Road Atlas. I can boast that I have driven the streets of Paris before the days of GPS and survived to boast about it! With the GPS, you never get lost, though you still don’t always know where you are! 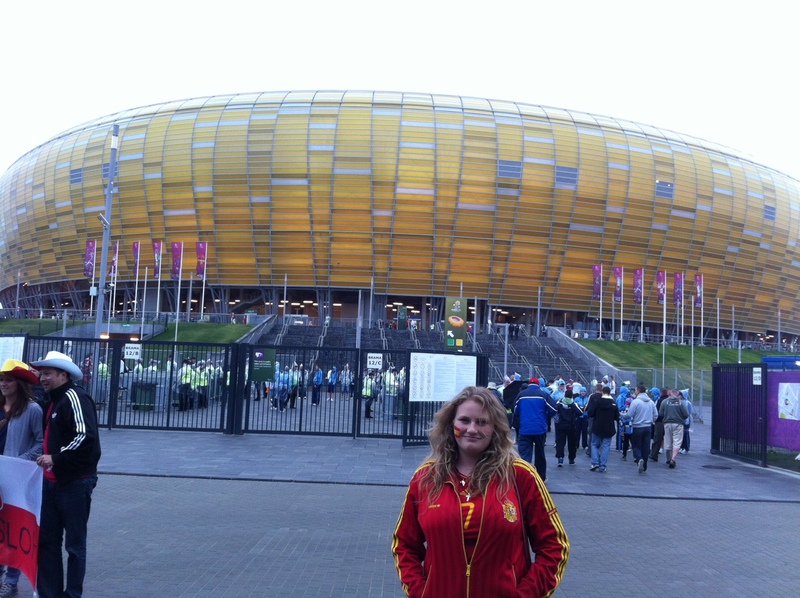 With our Gdansk trip, it was a little bit of that. We entered Poland and suddenly we were on this magnificent brand new piece of highway (tolled at 31 zloti for the 200km odd to Poznan – 3.4 zlotis buys you 1 euro) with a speed limit of 140km/h. ‘Easy peazy’ I thought, we’ll be in Gdansk soon. However, when the highway ends, you are thrown onto anyone of a few small roads where you have to do the next 200 plus kilometres at 50km/h, then 70km/h and sometimes the luxury of 90km/h but hardly ever for more than 8 to 10 km stretches though. It was late at night by then, I already had the better part of eight hours’ driving under the belt and this was not fun anymore. We did fortunately twice see foxes on these small stretches and seeing wildlife is always a huge delight to me, thus looking back; it was still an enjoyable drive. It was 00:30 when we reached our campsite at Sopot and lights out an hour later after pitching the tent and relaxing with a hot shower. Gdansk is a lovely port city on the shore of the southern Baltic Sea with the little spa beach resort town Sopot bordering its western flank. 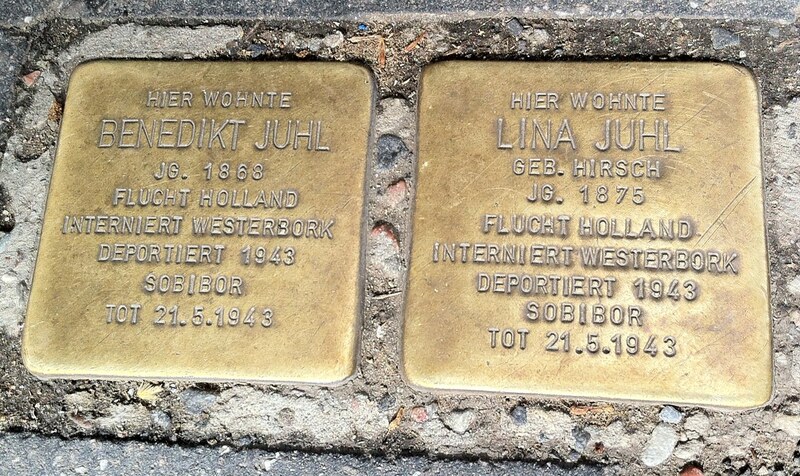 When Poland regained its independence after World War 1, Poland hoped that Gdansk would again be a mayor port harbour for them. 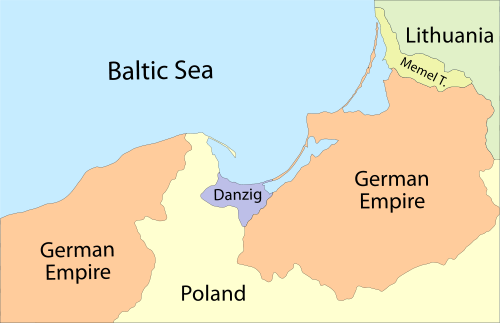 However, according to the stipulation of the Treaty of Versailles, and since the majority of the Gdansk population were actually German natives, Gdansk did not fall back to Poland, but instead became a sort of quasi state called ‘The Free city of Danzig’ with its own constitution, anthem and even postal service, which, though the Poles had free use of the port, it caused tension between the neighbours. My good old buddy, Henk back in the eighties and its share of political turmoil often used the phrase that its sport and music that makes the world turn! 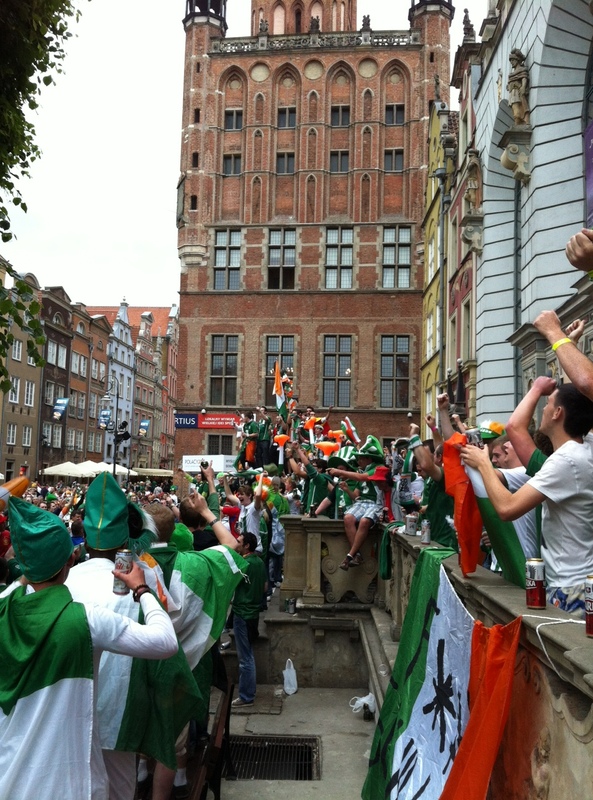 And this proved so true in Gdansk last week. With all political tension of the past simply forgotten and all attention festively focused on singing, drumming, probably small amounts of beer and soccer the ‘Dlugi Targ’ (Long Market) were filled with fans enjoying themselves and the diversity amongst the crowd. Spaniards and Irish with plenty of Poles and three South Africans (we did notice one other Saffa trying his best to blend in with the Irish supporters wearing his similarly-than-the-Irish-attire green coloured Proteas cricket shirt) in-between them, simply absorbing the atmosphere in great anticipation of what lies ahead in the PGE Gdansk Arena later that evening. And then it was stadium time! 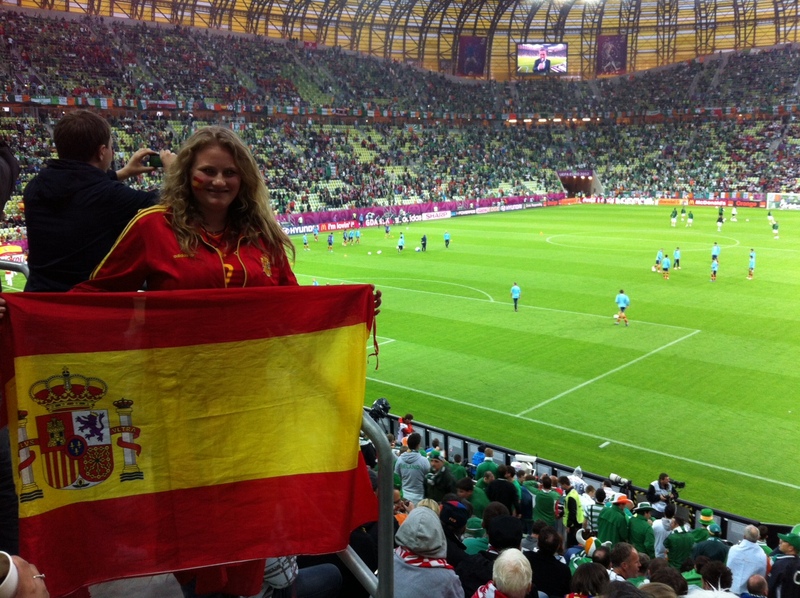 There were probably three times more Irish supporters than the Spanish and nothing ever silences them! Not even a first goal in less than 4 minutes for Torres, who at long last again had an excellent game. Though he personally only had ball possession for 38 seconds during the match, he had 5 shots at goal of which 2 were successful. Welcome back El Nino! The Irish were brave and though the score-line was hugely in favour of Spain at 4:0 in the end, it was a great game of football with the Irish always competitive and threatening when they obtained possession. And on the stands they were the ones never stopping to sing and chant their support to their ‘men in green’. However, the sheer class of ‘la Roja’ was too much and in the end it was an emphatic win for the current Europe and World ‘campeón’. The atmosphere with the traditional drumming of the Spanish support and singing of the Irish made me realise just how much that droning of vuvuzelas took away from the great traditional supporting singing and drumming at the World Cup in South Africa 2 years ago. In hindsight, they should definitely have been banned from the stadiums. The alarm clocks were set for 07:00 the next morning to start the 1300km journey back home, but due to the very short nights in this part of the world in summer, the cold sleeping in our little two-man tent and the continuous stream of singing and shouting Irish supporters returning from their ‘nights on the town’ we were up at just after 04:00 and started to pack-up. It was a short and intensely packed visit to Gdansk, driving through stunning Poland rural areas with grain fields and forests as far the eyes could see. We had just one day to look around and see the Sopot beaches and the stunning old part of the city of Gdansk, which included a magnificently preserved medieval port crane. I did however see enough to realise this is a stunning destination to spend more time in if the opportunity arises again. It will make for great summer vacation. Though there is simply no way you can understand any Polish with just English or Afrikaans as background, there seems to be more young people able to speak English, even than in Germany? And one should never underestimate the good for a country, especially the not so wealthy countries, which comes with hosting events such as a World Cup or the UEFA EURO 2012. It’s evident in infrastructure and hospitability of people all around you. And if managed correctly after the event is gone and dusted, it can lift a country to that needed next level to sustain and grow on what was achieved due to the event. I sincerely hope both Poland and the Ukraine will experience that. Thanx Cara, I had a great trip.